Home »Automation»Docker»How to run Jenkins with docker? Sometimes no one wants to deploy and configure the whole server and applications. Especially when the time is the scarce resource. Developers know about it – they face this problem every day. One of the solutions is docker. It helps with deploying, provisioning and automating development and production environments without the big workload. Docker can help also with learning. You do not need the create separated virtual machines for your labs. The only one you need is docker and your own notebook/PC. Forget about long configuration processes and subsequent work expenditures (removing, cleaning etc.). If you want to learn some Jenkins, don’t waste your time. Just run Jenkins with docker! 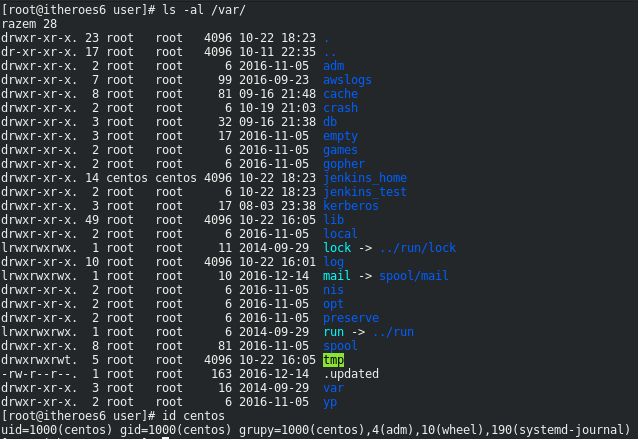 Hereinafter you can find some instructions based on CentOS 7. Steps for Debian are similar – the main difference is the docker installation, which is performed by another package manager. Also, it is possible you will have to install another repository. To run docker, you need… docker! And more specifically Docker Community Edition. If you do not know, Docker Engine has been ended at 1.13.1 version (last release: 2017-02-08). Since then packages named “docker” and “docker-engine” have been not maintained anymore. If you want to install the supported version, you should choose Docker Community Edition, which is available in the additional repository. Moreover, CentOS-extras repository should be enabled. Now you have to make sure you have installed packages needed by the storage driver. After that, you can add the required repository and install Docker Community Edition. And that’s almost all. All that remains is to start docker service, ensure it starts with the OS, and run the test. Now we can finally get to the point – running Jenkins with Docker. Since now you have installed and working docker. The only one thing you must do is to pull and run the Jenkins container. But first, you should think whether you want to just run the docker, or maybe you want to attach the $JENKINS_HOME path to your local system. With this option, you will be able to easily access all files (including workspaces, plugin directory and more) and you never lose these files. If your container dies, all data will be safe. 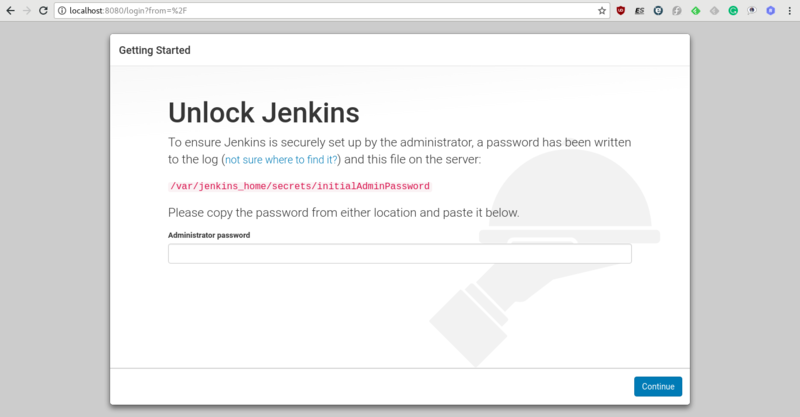 The solution is very easy – directory you choose for the $JENKINS_HOME should have the owner with the UID 1000. If you don’t have such user in your system, just create it. Most commonly cloud providers give VPSes with the previously created user (exactly with the UID 1000). This situation is possible also when you try to run Jenkins with Docker on your own notebook. Please notice, that this is not the recommended configuration for the production environments! You will be asked about the plugins to install. Here you can choose between installing the suggested plugins (recommended) and chosen by you. 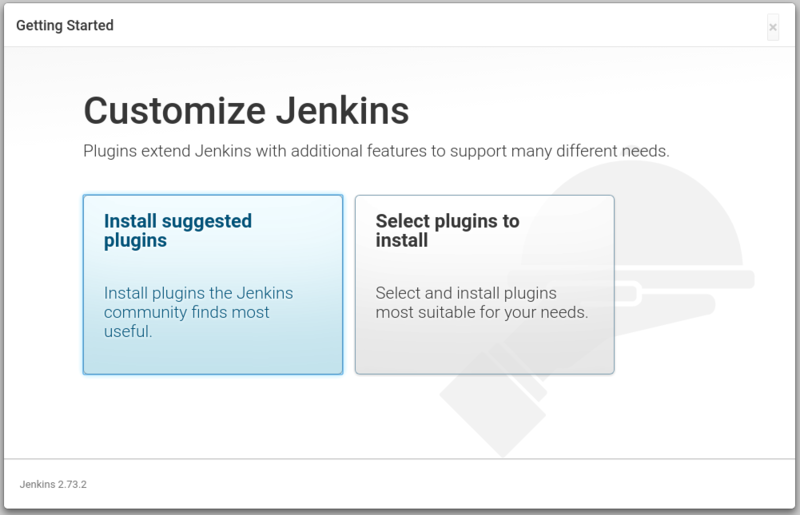 It’s strongly recommended to use the suggested plugin, especially when you just starting your adventure with Jenkins. You have to do only just one more thing – create your first user. 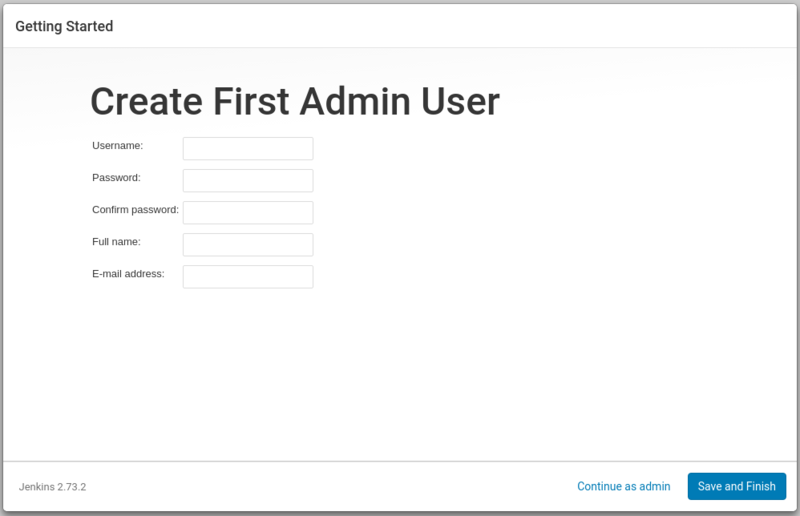 This user will be the one available in the Jenkins, until you create your own set of users. Moreover, it will be the first user with the administrative privileges. In the theory, you can skip this step, but it’s not recommended. As a result of your work, now you have your own, fully operational Jenkins installation running on Docker! It might be worthwhile to update this to show using a Docker volume docker volume create my_jenkins_home instead of mapping in from the host and then docker run -d my_jenkins_home:/var/jenkins_home ...etc. This should avoid the host/guest permissions issues while still allowing for persistence. You also didn’t show the command you used to get into the container to get the initialAdminPassword. I believe it is something like docker exec containerID cat /var/jenkins_home/secrets/initialAdminPassword. I somehow followed your howto to implement my testing jenkins to not to compromise our corporate. docker: Error response from daemon: Conflict. The container name “/myjenkins” is already in use by container 3d4b6c645b5029087893ea4b7846573e727432dc4577851960efc39d3cca493c. You have to remove (or rename) that container to be able to reuse that name..